I have proud to work with Onsen UI Framework. RE: How can I implement buttons for social networks? RE: How to publish for iPhone and not iPad? Reducing the padding! looking for my app, i have a similar situation. @Fran-Diox thank you! I have worked to make a good design. Hope i have a hit! @unaso Thank you friend! " many Cordova developers will benefit from that!" Yes that 's the purpose. I’m back with a new website and a blog (humble and with a poor English) where i’ll share everything i can about mobile development , Onsen UI and what i most love : UI/UX . And a paid version of my most rated app Mooobile meat cuts . 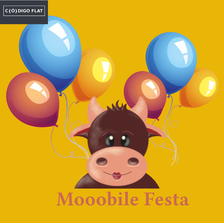 I have now a version called : Mooobile Party with exotic meats (Aligator, and 10 others meat types).